Until now, I had only known Metzingen for the many outlet shops in the city centre. I often go there to shop and seldom leave empty handed. I avoid going there at the weekends because there are simply too many shopaholics in this small city in Baden-Württemberg. It can also be quite chaotic during the week, but I at least find this bearable. When I am finished shopping, I usually leave the hustle and bustle as quickly as possible. Metzingen does, however, have many other worthwhile attractions. I was able to see some of these last Saturday when Frank invited us to the Tweetup Outlet and showed us parts of the city. The weather was simply wonderful. After a sumptuous breakfast, the five of us headed off to explore the Metzinger Kunstweg, an art walk. The art walk has three routes of varying lengths. You should use a bicycle or Segway for the green route. We opted for the red route. Unfortunately, I was unable to find any information about the art walk on the Metzingen website. This is unfortunate because it was quite exceptional. Even though this was primarily a sightseeing trip, we still managed to get some shopping in. 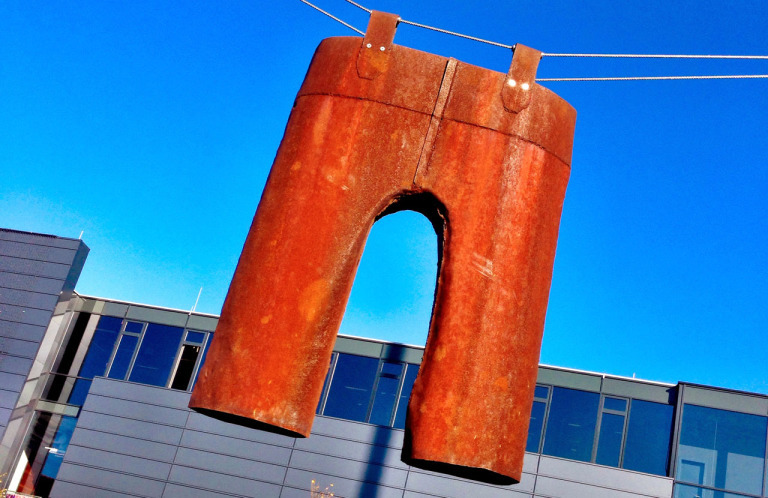 It should be stressed that Metzingen has much more to offer than just shopping. Frank and I have already discussed repeating the Tweetup during the first half of next year. 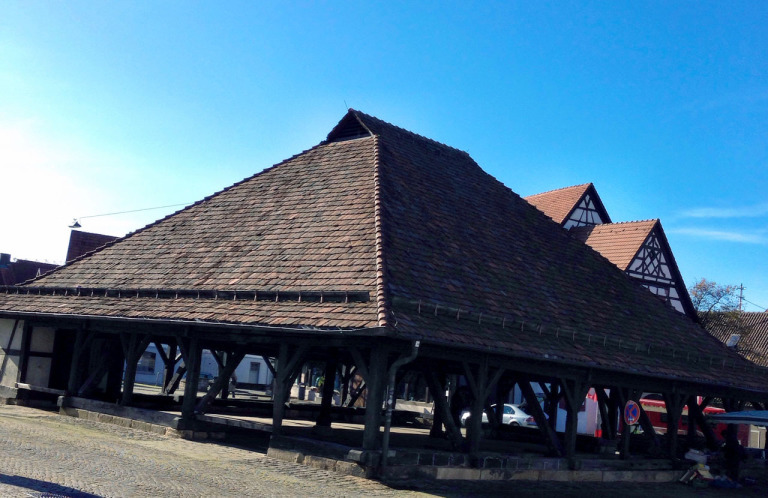 We have the chance to explore a bit more of Metzingen. 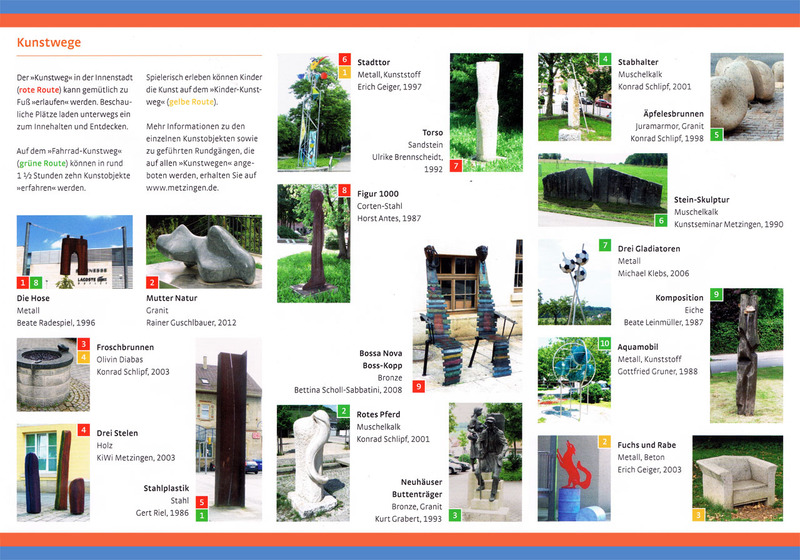 You can find out more about the attractions of Metzingen at the tourist office at Lindenplatz or on the website. Frank’s report in German language on the Tweetup Outlet can be found here.